So much has been written about the elephant hunters of yesteryear that there is niche of collectors who only concentrate on this genre. And rightly so, as elephant hunting literature is rich and varied and has brought forth some of the most memorable writings on Africa ever. However, very little is ever written on modern elephant hunting. And strange as it may seem, many of the largest elephants shot in the history of Africa have actually been shot in the last fifty years. And while shooting a hundred pounder is now a very rare occurrence, it may fairly be said that the average weight of ivory shot on safari has risen and risen over the last fifteen years, bringing with it a period that might well be called the renaissance of elephant hunting. Each year the trophies get better, and the total population keeps on rising. 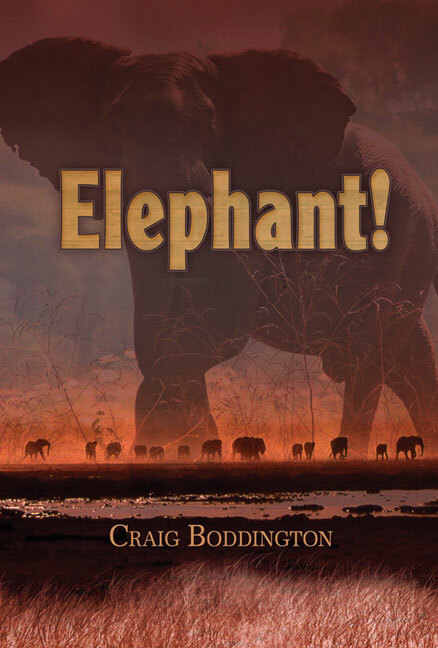 Craig Boddington has been fortunate enough to have shot elephants in some of Africas modern hot spots, including Mozambique, southern Tanzania, Botswana, and Namibia. Not only has he shot some very respectable trophies that are considered "trophy elephants" by any standard, old or new, but he has also taken his share of cows and nontrophy pachyderms. These totals afford true experience. So here is a book on how elephants are hunted today and where the best places are to find them. Included are stories about hunts that any one of us could experience. Submit your review for "Elephant!"